“We’re delighted to have Bob join us as we expand on our commitment to delivering the highest levels of customer satisfaction and continue to explore new, innovative ways to make clinical trials more efficient,” said James Corrigan, ERT's President and CEO. ERT, a global data and technology company that minimizes uncertainty and risk in clinical trials, today announced the addition of Robert (Bob) Shambaugh to the role of Executive Vice President of Operations Delivery and Fulfillment. Based in ERT’s Philadelphia office, Bob is responsible for developing and overseeing the strategic direction of ERT’s day-to-day operations, ensuring the company’s suite of proven eClinical solutions deliver the highest quality clinical trial data for use in the development of new medical products. Bob brings decades of delivering operational excellence to ERT, including extensive experience in operations, manufacturing, supply chain management, and strategic sourcing in the healthcare, aerospace, energy, and automotive industries. 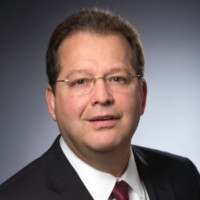 He joins ERT from Aerodyn Engineering, after having held a wide range senior leadership positions with Chromalloy, Sensata Technologies, and GE Healthcare. Visit ert.com/safety-efficacy/ for more information on how ERT’s eClinical solutions deliver high-quality clinical trial data to ensure reliable patient safety and compound efficacy measurement.